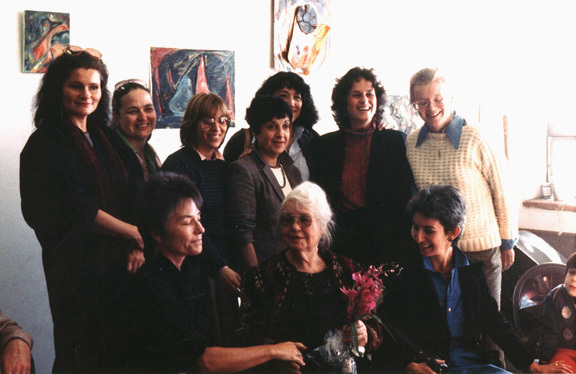 NYFAI Mission: (1979) Our vision of the New York Feminist Art Institute obliges us to act now to create an environment for the training of women in the arts. The challenge is to discover a teaching method which encourages women to use personal experience to create radiant art of our own. The curriculum of the school involves the development of self awareness in a social and political context, and the development of a sense of group identity. Work is both collective and individual. Consciousness raising and feminist philosophy are the primary components from which the curriculum organically develops. 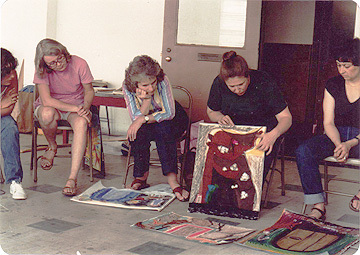 For information about workshops, classes and instruction (1979-1990) click here.